The new hotel entrance at the northern side of the Towers. 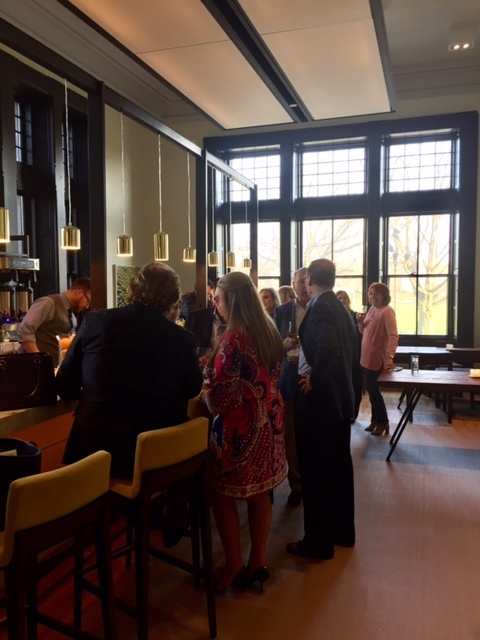 The new bar in One Hundred Acres, the restaurant on the first floor of the Towers and Hotel Henry. This was formerly the Matron's Office. 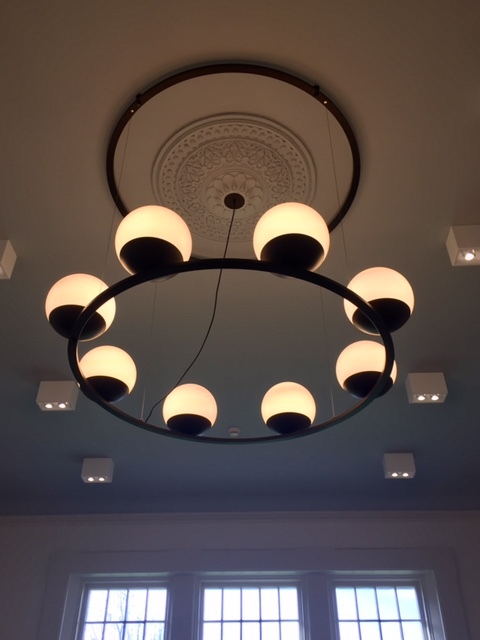 New lighting fixture next to a restored plaster medallion. while many things have changed, my goal to work on “greening what’s already here” continues to be met, often in places I never expected. Many people are finding new ways to integrate historic preservation and green building practices, which makes my new venture a delightful and intellectually inspiring one. This is blog one of my anniversary week. 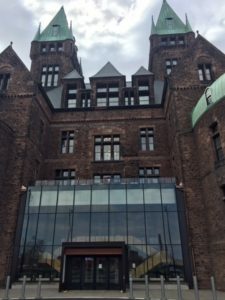 I wrote my first architectural history paper on the Medina sandstone at the former Buffalo State Asylum for the Insane in 1880. My professor sent me there to examine the stone and I was hooked. In 1986 I graduated with my Masters in Historic Preservation having completed my thesis on an adaptive reuse of the Buffalo Psychiatric Center. This weekend, 37 years later from my first walk on the grounds, my friends and colleagues from the Richardson Center Corporation and the Buffalo Architecture Center boards and I ate dinner at One Hundred Acres and spent the night at the Hotel Henry. Our boards have worked with some of the best consultants in the world for the past 11 years to reactivate this National Historic Landmark. 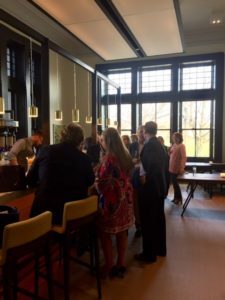 The Hotel Henry Urban Resort and Conference Center is the first use to open this month in the former asylum. Later this year the Buffalo Architecture Center opens. We rehabilitated the three core buildings of the complex, stabilized the rest. Our board is currently conducting a Phase 2 study to determine the best approach to the remaining buildings and land. 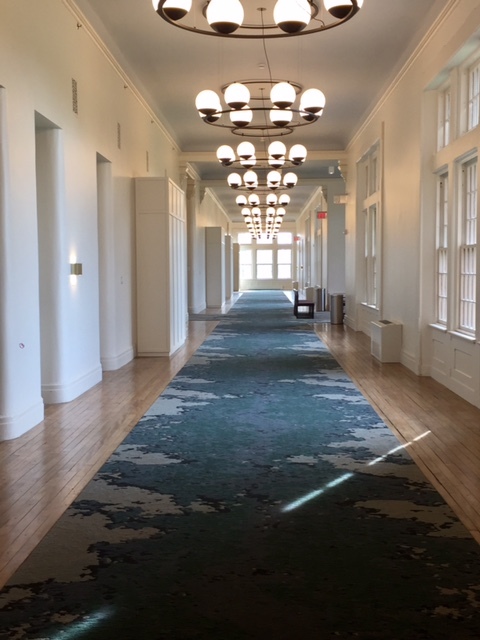 The former day rooms of the asylum have become the Hotel hallways. Adaptive reuse is one of the best ways to green what's already here. We restored all the original character defining features from the exterior masonry, slate roofs on the Towers building, double hung wood windows, height and breadth of the day rooms (hotel hallways), plaster work and stairways. Everything new is modern and minimal. Our project was designed by a stellar design team led by: Flynn Battaglia Architects, Goody Clancy Architects and Deborah Berke Architects. Over the past month the press has been well deserved for this project and I suspect it will continue to be so through the rest of the year. One hundred million dollars has been used to stabilize and restore the first phase of this crucial site – through a grant from the State and historic rehabilitation tax credits and private donations. I have documented this project since I started this blog six years ago and will continue to do so. It’s been a true community project and it is just the beginning. For a full view of the transformation, please view my Facebook photo album. You don’t need to be on Facebook to view it. And if you’d like to “subscribe” or follow my blog, True Green Cities, please sign up through the “Subscribe” button at the bottom left of this page. You’ll receive a daily recap when new blogs are posted. Or Sign up for the Feed, also at the bottom left of this page.